Miriam Frank’s mother fled Germany to escape the Nazis. This is a story of how Miriam’s mother was forced to move from one country after another as fascism came biting at her heels; mother and daughter moved from Spain to France, finally ending up in New Zealand via Mexico. Miriam was born into exile. Even when theoretically settled in New Zealand, Miriam found an emotional chasm between her and the other girls, though many became her friends. Finally Miriam came to Britain where she worked as a doctor and anaesthetist. In this book, Miriam is hunting memories, especially of her relationship with her mother, who had been deeply involved in the literary world as well as for a time being a Communist. Miriam searches for her mother’s past friends whom the schisms amongst the left in the Spanish Civil War had torn asunder. In a way which I suspect will be alien to people who are rooted in one place or even one country, Miriam travels from place to place poignantly attempting to relive and compare her own and her mother’s experiences, and re-establishing contacts across Europe which were a part of their artistic and cultural world. Miriam is trying to fit together a puzzle which has always perplexed her: how is it that her relationship with her mother which was so close when Miriam was young became so antagonistic. By the end of the book, the reader is given some glimpses of what happened. For Miriam’s mother, always moving, never sure how she and her daughter would survive, Miriam was what made her struggles worth enduring. But as Miriam became increasingly independent, her mother could not bear the loss. The author allows us to see how painful Miriam found her mother’s rejection, but also how their personal dynamic was a consequence of the deep insecurities, psychological and financial, associated with rolling dislocation. There is much else besides. 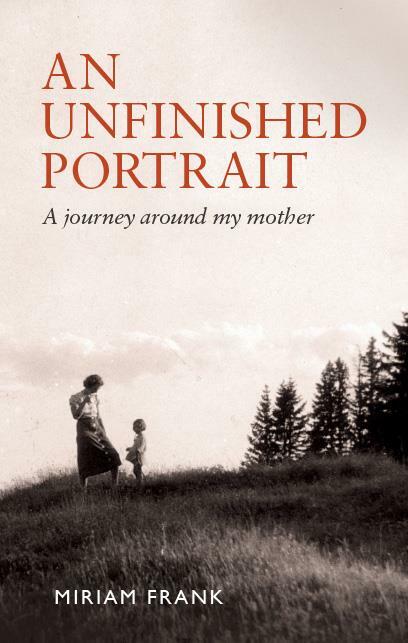 The title of the book: ’Unfinished Portrait’ alludes to the portrait her husband painted of her. He had worked hard and long on it but it had remained an ‘unfinished portrait’. She had lost sight of it after their relationship broke up. Now Miriam comments on the eyes¸ one alive and truthful, the other filled with a dark pain mixed with defiance. But there is another meaning of ‘Unfinished Portrait’: Miriam feels that, despite everything, she has not succeeded in resolving the complex misunderstandings with her mother or in completing her mother’s ‘portrait’. Miriam searches for light and life wherever she is and whatever she is experiencing, though how far this represents a response to an inner darkness is left to the reader to decide.